Play these Flash or HTML5 based online slot machine games provided by ELK Studios at Top Free Slots. No download required to play the games - just click on the image and wait for the game to be loaded in your browser window. You can play all these ELK Studios Slots for free or try your luck for real money at sponsored online casinos. You can play classic slots or 5 reel video slots with multiple lines of payout, exciting bonus features, and wild and scatter symbols to increase your winning potential. 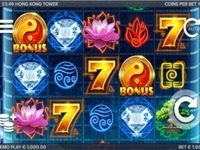 Hong Kong Tower slot brings exciting gameplay to dizzy heights below the bright lights of big city Asia. The Yin yang symbol ensures the energies are kept in balance and assures significant winnings. 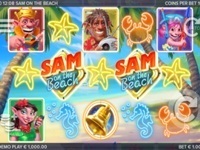 The excitement increases as..
Electric Sam is back but this time he's brought his lovely family to an all-inclusive resort, in the new Sam on the Beach slot by Elk Studios. Join this wacky family on the sandy beaches but bring your metal detector.. The bull Toro is a friendly character who generates numerous re-spins as he walks from reel to reel. There are 178 different ways to win in this action filled 5 reel video slot. 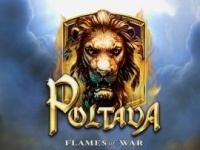 3 sneaky matadors trigger Matador Re-spin..
rr The Poltava: Flame of War is a gamble for the history nerds. Peter the Great of Russia meets the Swedish royal forces that bring you into an epic battle. 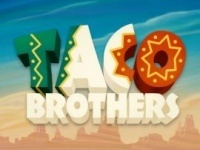 It is a beautifully designed game that stuns you with its..
Help Taco Brothers - Paso, Pepe and Pico spread the Christmas cheer by saving as many tacos as possible in the Wild Escape bonus game. Captain Diaz's beautiful daughter Senorita will rescue brothers whenever they get..
rr There are numerous machines showing the same pattern over and over. 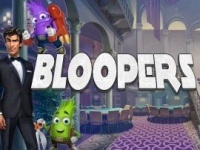 Things however sometimes change, as is the case today with Bloopers slot machine. This piece of art comes from ELK Studios, a manufacturer that.. This is a 20 payline slot machine game created by ELK Studios. 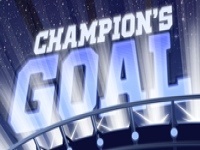 rr The free online Champions Goal slotÂ machine is a video game developed by Elk Studios. It has 5 reels with 3 rows and up to 20 paying.. 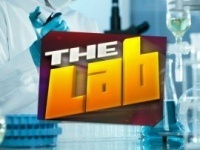 The Lab is a 15 payline online slot machine from ELK Studios. rr The free online ‘The Lab’ slot machine is a game developed by the Elk Studios company. Its crisp 3D design with a.. 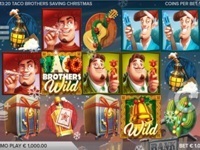 This is a 1 payline slot machine developed by ELK Studios. rr Elk Studios stepped out the Tacco Brothers slot machine with this 3D contemporary graphics, chill sounds, and a unique theme. 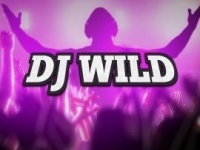 There are..
Dj Wild is a 10 payline slot machine game created by ELK Studios. 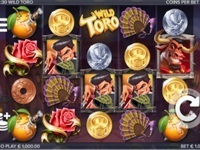 rr Dj Wild slot machine game is produced by ELK Studios and has 5 reels, and 10 paylines paid both ways. This slot machine is a bit harder..
rr Powered by Elk Software, Electric Sam is a video slot with an unusual element of electricity. It features trolls and neon signs as its symbols. When you play Electric Sam free slot, you'll be taken in a forest where..